Exhibit space for the second edition of PROUD Experiences has sold out more than 3 months ahead of the show, exceeding all expectations and marking a groundbreaking result that confirms the strong interest of the travel industry towards the LGBTQ+ community, who spent $218 billion in 2017 alone – according to consultancy firm Out Now. Over 90 exhibiting companies are now confirmed for PROUD Experiences 2019 – taking place June 18-20 at 1 Hotel Brooklyn Bridge in New York – including some of the world’s leading hotels, concierge companies, destinations and travel services, coming from countries such as Italy, the Maldives and Peru. This outstanding result marks an impressive increase of 50% compared to last year’s debut show in London, and it’s set to grow year-on-year, with applications for 2020 edition already open. As a one-to-one show, PROUD Experiences will also welcome an equal number of buyers to exhibitors. In fact, over 90 buyers are expected, representing another 50% increase to previous year, coming from Europe, Latin America, North America and Asia Pacific; countries include Australia, Brazil, Germany, Mexico, Switzerland and the Netherlands. PROUD Experiences 2019 will begin on 18 June with the PROUD Gathering, the official opening event that includes a segment dedicated to the ‘Proud Modern Family’, with interviews to parent-bloggers Jonathan Bailey and Triton Klugh from ‘2 Dads with Baggage’, and transgender power couple Hannah and Jake Graf. 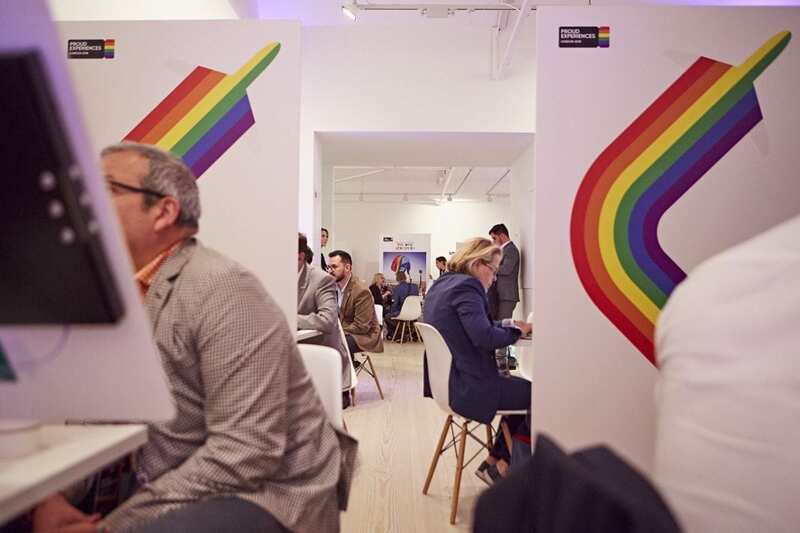 A series of Masterclasses each day will be for everyone to attend, with hard talk topics such as emerging destinations and travel issues; the segments within the LGBTQ+ travel niche; growing revenues from this market and hands-on sensitivity training. Speakers include Andréa Richardson – Head of Diversity Relations at Hilton Hotels, who will be using her award-winning experience in a panel format to discuss who is the LGBTQ+ traveler (drilling down on their profile: single/couples/families or a mature customer), and what is best practice in targeting and engaging with this community. Networking Events and Parties are planned as an added opportunity to continue to meet up with friends and make new ones at venues around NYC, with a closing party scheduled on 20 June evening at Carla Sozzani’s iconic 10 Corso Como New York.